I read this article in Monday Note the other day and it struck me how much of a problem Facebook has on its hands. 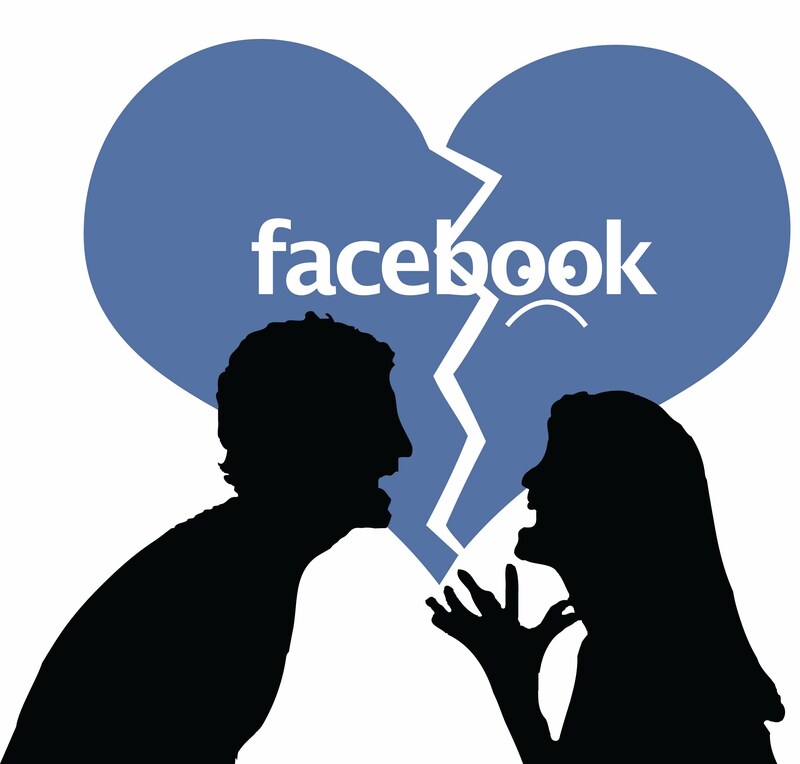 It’s about how Facebook is flat out harming it’s users through it’s core functionality and through its ads. Both are being revealed as destructive. Really good article. I had always assumed that the print/book industry was really struggling – similar to the music industry. 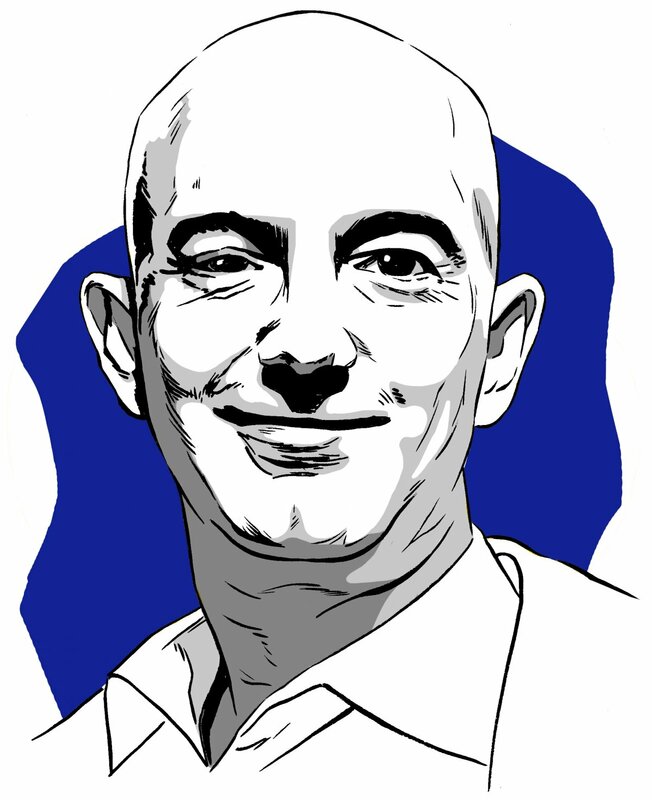 However, Bezos’s quote of, “…the facts are wrong. Publishers are having unparalleled profitability, and the book industry is in better shape than it ever has been, and it’s because of e-books” is interesting. It’s also interesting that they take such a long-term view for the Kindle. As Bezos states, “The vision for Kindle is every book, every imprint, in any language, all available in 60 seconds.” That’s quite a mission. They are definitely doing really well so far. I wonder how many times they plan on iterating on the phone. He talks about bold bets with things like Kindle, AWS and third-party resellers, but building a phone and competing against Apple, Android (they aren’t using core Android), Samsung and others is entirely different. While audacious, i’m not sure I see how they can differentiate. I think it’s the same for self-driving cars (I have a bet they’ll be here by 2023). It totally works right now but the world is just not ready for it. There are so many unanswered questions, such as: if someone gets killed or severely injured by a self-driving car, who’s liable? Is it the person who bought the car, the company that built the car? Is there some level of insurance that you can get? Anyway, some good thoughts in there. It’s worth a read. I had pretty much written Yahoo off. I thought they were dead. They hadn’t done anything new and interesting for over 5 years. Their webpages looked like crap. They were just treading water. That all changed lately. Specifically in the past 6 months, they’ve done some things that really make me think they’ll be a player in the future. 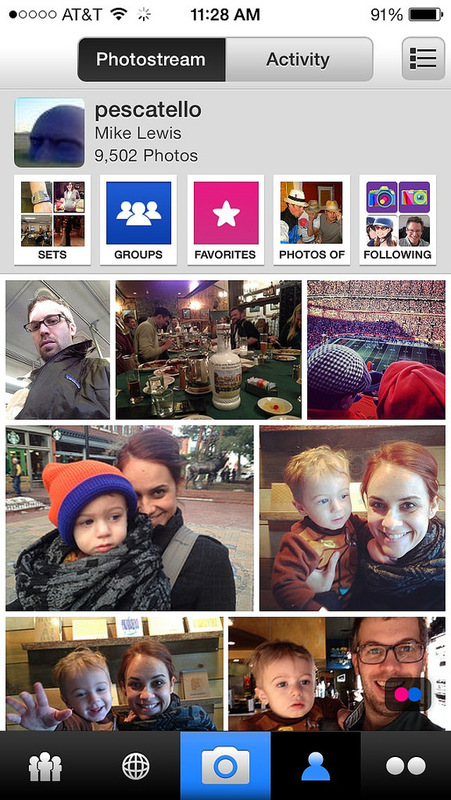 First, let’s talk about Flickr. I’ve always used it as my default photo service where i store all my photos online. It used to be the best (in 2003-2006) and then it got abandoned. I still kept putting my photos there because i was locked in, but i knew it was dead. They added one small feature a year. I had seen that playbook at AOL. It means it’s only a matter of time before it’s time to leave. Then something magical happened. They pushed out a new iPhone app for it that was actually decent. Then they updated it to make it really slick. Then they announced 1 terabyte of free storage. Then they announced automatic iPhone uploads of photos. Whoa. All of the sudden, it was one of the best photo apps on my phone. All in about a 6 month period. 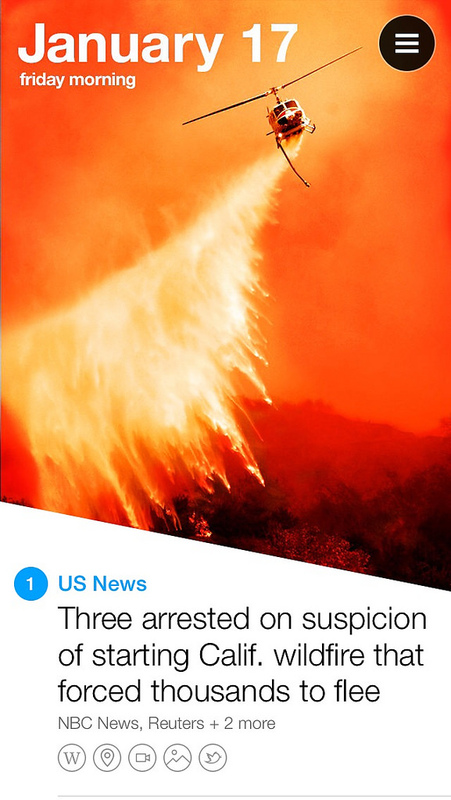 Second, they released a new News Digest app that is basically The Week magazine but a daily app. It aggregates 8 to 10 recent news stories and sends them to you twice a day. Once you’ve read the morning stories, you have to wait for the evening delivery. It’s beautifully made and is really easy to consume. It’s not the main way I get mainstream news. Finally, they launched a new Tech site that claims to be different than current tech sites. The premise being that all tech sites today are focused on the top tier tech enthusiasts and people who care a lot about Silicon Valley. Yahoo Tech will be focused on the other 90%. People who want to know what the best TV is, not which Palo Alto exec just changed jobs. I think that’s a great idea. So, it’s good to have another player back out there. Someone is building new things and innovating. I’m excited. It seems that Yahoo! is indeed earning the exclamation point on their name. Paul Rudd has been going on Conan O’Brien’s show for 20 years. Each year he brings a clip to promote a new film. Apparently, every time he brings the same video clip every time. Here’s a video showing all of them. This is pretty hysterical. Half as many children died in 2012 as in 1990. That’s the biggest decline ever recorded. And hardly anyone knows about it! Billy (now age 64) hasn’t released a record since 1993 and hasn’t toured since he wrapped up his last gig in 2010, but he’s still changing the music business. 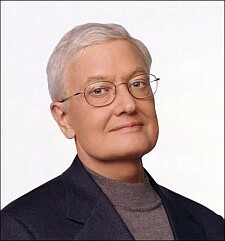 He recently signed a deal with Madison Square Garden to play a concert there every month. A good article in businessweek. I’ve always loved Maria Bello as an actress. She has an interesting personal life too. She’s penned a good essay in the NYTimes about her children and romantic situation. It’s good and worth a read. The online advertising world is changing. Sites like Gawker and Buzzfeed are grabbing lots of traffic and some good ad dollars. This article looks at how publications that try to be more exclusive (and thus have less traffic) are trying to compete. Hint: it’s not going to work out well for them. We have two cats and love them (most of the time) and I loved this video of a mean old woman getting karma right in the face. Here’s an Interesting study here of 8000 women about how they got pregnant. Almost 1% of them said they got pregnant with no men involved (and no in vitro or other reproductive technology). Here’s to immaculate conception. They have more than 4,000 locations and sell more than $34 billion / month. If Walmart were a country it would be the 19th largest in the world. 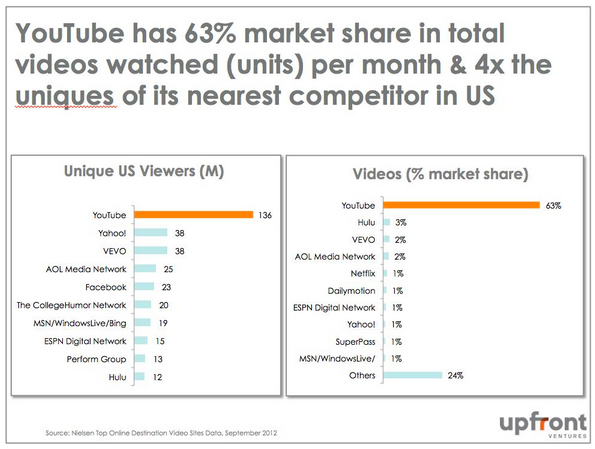 6 billion hours of watched video a month. That’s enough for every human on earth to watch 150 videos a year. The point of the article is that if you’re in the online video business, it’s foolish to try to do anything without thinking about YouTube. Similarly, it’d be foolish for a retailer to not want to sell their product through Walmart. I wanted to tell her she was an awful manager, a poor editor and a vile individual. But all I said was, “OK,” before my buddy, the janitor, apologetically led me out of the building and left me standing on Sixth Ave. No exit interview. No parting gift. Not even a shot of whiskey. I couldn’t help but try to do the math. 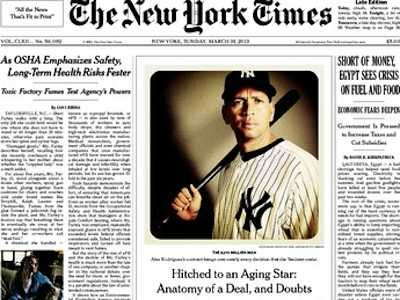 723 articles, 63 celebrity interviews, 106 Best of New York columns, three editor-in-chiefs, five managing editors and countless sleepless nights added up to nothing more than standing on Avenue of the Americas with a handful of crumpled papers, two half-filled legal pads and a cup of cold coffee. So I started walking. I guess I was looking for a bar, but before I could find one (it’s tougher than you think to find a good bar in midtown) I walked pastValducci’s Pizza Truck on 51st and 5th Ave. And right there on the side of the truck was a huge, laminated copy of an article I wrote that named Valducci’s as one of the best Sicilian slices in New York. The math suddenly became much clearer. My articles weren’t about lifting my spirits, but those of the people I wrote about. Sure, my articles were no longer valued by my editor at the newspaper, who didn’t care about a pizza pies unless Lindsay Lohan threw them up, but it certainly meant a lot to small business owners like the Vallerio family of Staten Island, who have been slinging pies since 1999. I didn’t let down the newspaper. The newspaper let down the readers. Honestly, would you rather discover the best place in NYC to find a Sicilian slice or read about how Britney Spears forgot to wear underwear and showed the world her Sicilian slice? Anyway, I think the lesson here is that sometimes you go looking for a drink but instead find some perspective. I’ll be okay. The newspaper, well, that’s a different story. In the meantime, if you hear of a gig for a decent writer, shoot me a line. The good news is that companies are hiring up ex-journalists like hot cakes to help run their content marketing departments so folks like this won’t be on the street for long. 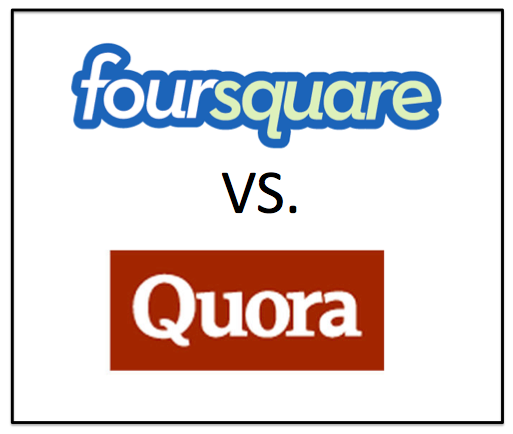 If you were given 1% of a company, which one would you take between Quora and Foursquare? I asked this question two years ago (in 2011) and was pro-foursquare. I then re-asked a year ago when Foursquare was really crushing it and was the darling of the industry. Now, reports have come out that they were unable to raise another round at a higher valuation, were forced to do convertible debt, and only did $2 million in revenue last year. So, the shine is rubbing off. Would I still choose them over Quora? The answer is ‘yes’ although it has less to do with Foursquare and more to do with Quora. Lately, i’ve become really down on anything advertising-supported. Basically, i think that business model is in the tanks and is only going to get worse. Nobody clicks on ads on the web and the rates are in constant decline. If you’re planning on building a business around it, you better have massive scale – and even then you’d be better off selling something else. Foursquare could be the next Yelp, and while that’s a disappointment for some, I see that a rosier future than where Quora is headed. Although i have to say that the margin is much smaller today than it was 1 and 2 years ago when we last did this poll. As if journalists weren’t having a tough time. Today’s cover of the New York Times is further proof that the cost-structure of journalism is crumbling. The cover is an image of Alex Rodriquez and the photo was done from an iPhone and the Instagram app. Back in the day, you used to have to develop your own photos. Then came digital photography and with that you needed to have some photoshop skills to make the photo look really professional. Now Instagram handles it all, and it looks great. Obviously, an iPhone can’t handle a lot of circumstances, but now lots of people have the skills needed to make beautiful shots that are worthy of the cover of a newspaper. Who’s leading the effort here? It seems to be HBO and Netflix. Netflix is great for #2, #3, #4 whereas HBO is great for #1 and #3. It seems to be a race for HBO to get on more devices and for Netflix to get more exclusive shows. 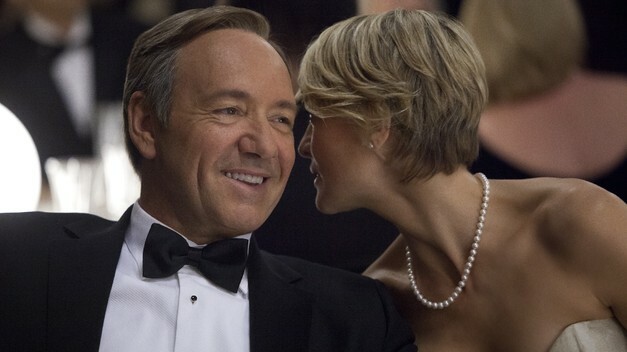 Diane and I just watched the entire season of House of Cards and loved it. We plowed through all 13 episodes in two weeks. That’s how we watch most shows (on-demand) and not in HBO’s weekly format. It’s only a matter of time before they all go that way. For me, I’m putting my money on Netflix. First off, because it’s not part of Time Warner which seems to be stuck in the ways of the past. Second, because Netflix has been pretty aggressive on all fronts and their winning here seems more likely than HBO figuring out the web and devices.